Starting to obtain a fundraising campaign literally costs money, no matter which side you think about it. There is no charity or subsidy for an organization who asks to receive one. A nonprofit needs to determine from the very beginning how it is to support its probable costs for fundraising and that the expenses are suitable for a rebound. Thus, acquiring a fundraising budget is a must. Having a fundraising budget helps a certain organization manage expenses in a convenient and befitting way. To complement your fundraising budget, our fundraising budget templates are an ideal must-have. This will surely help you in managing your fundraising budget or expenses. There are several choices of templates that you can choose below. 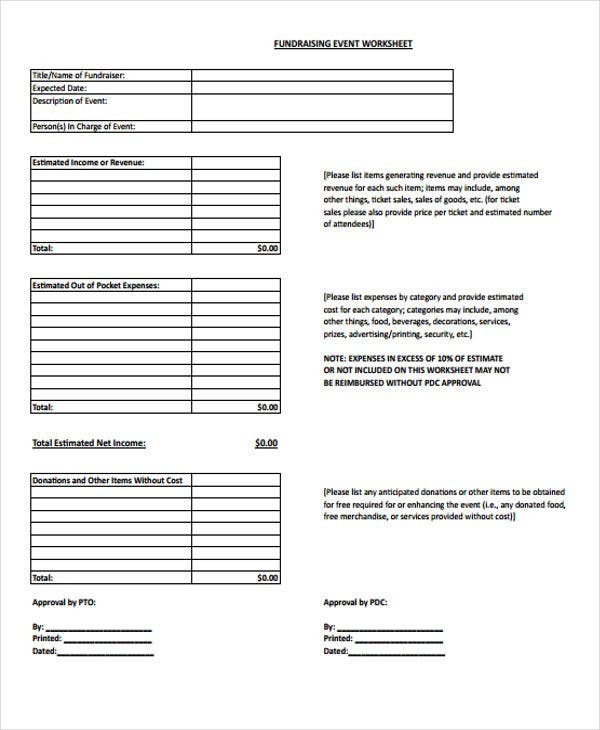 If you want a more convenient and effective way of tracking and controlling your fundraising budget, these downloadable templates are certainly what you need. Check out some of these samples. Fundraising Planning Budget Template – This is what you need if you’re making a fundraising budget that also provisions planning. 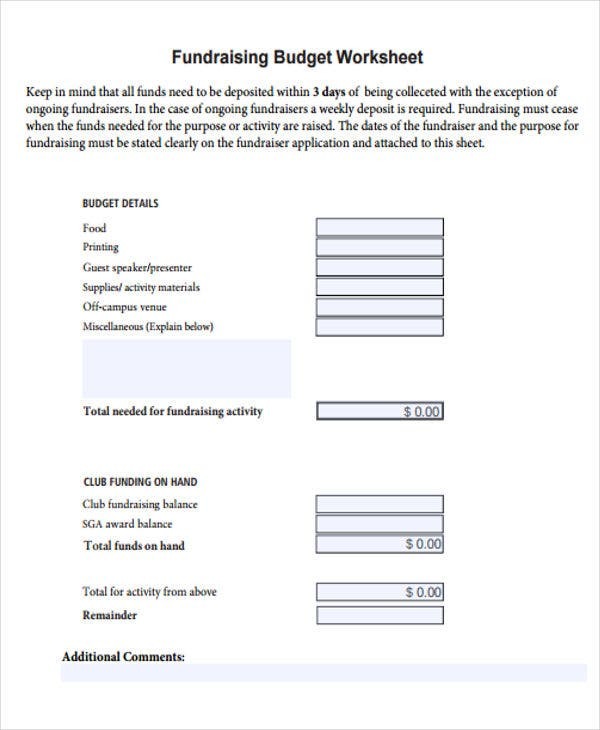 This is a systematized way of managing your fundraising expenses. 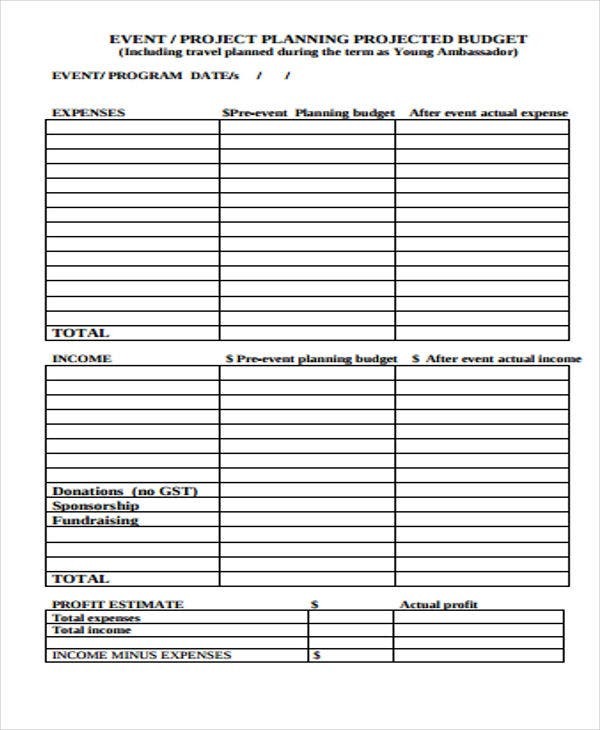 Budget for Fundraising Event Template – This template is for sure helpful if you really want to obtain enough budget for your fundraising event, complete with all necessary and relevant details. Fundraising Revenue Budget Template – This is what you need when it comes to receiving several different types of fundraising revenues. 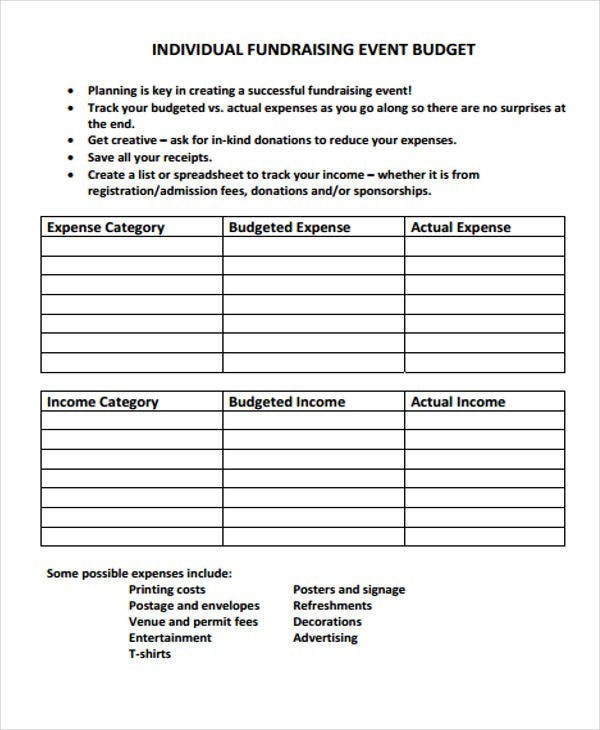 In order to manage everything, you need an organized fundraising revenue budget record, and this template is the answer. 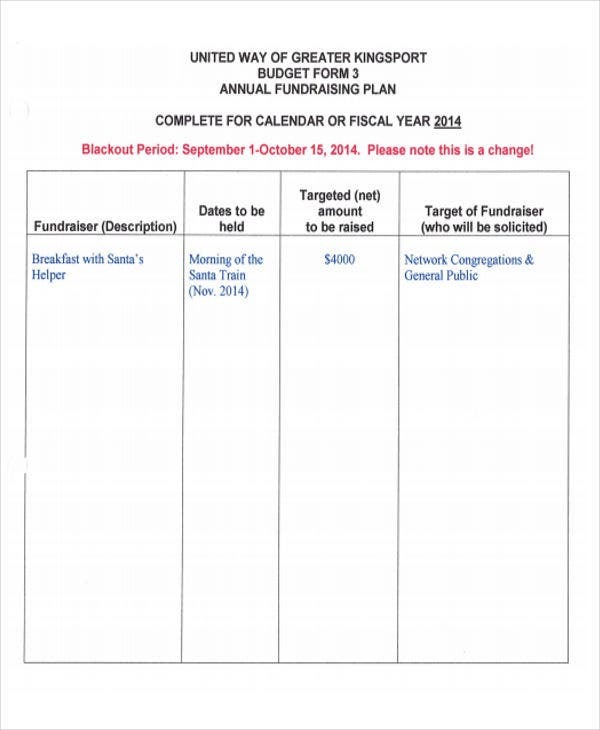 Annual Fundraising Budget Template – An ideal template to use for managing a fundraising budget for the annual period. This has all the essential details included and is already formatted. 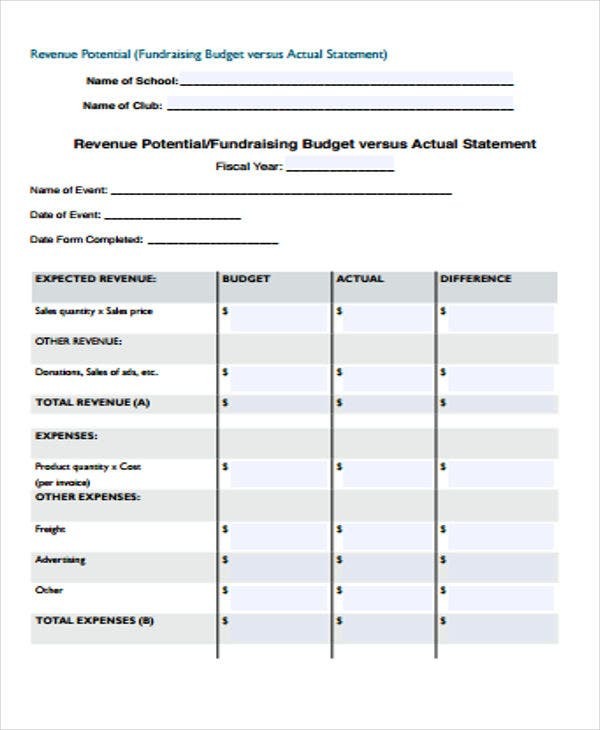 If you’re looking for a fundraising budget of this type, you might want to download this template. 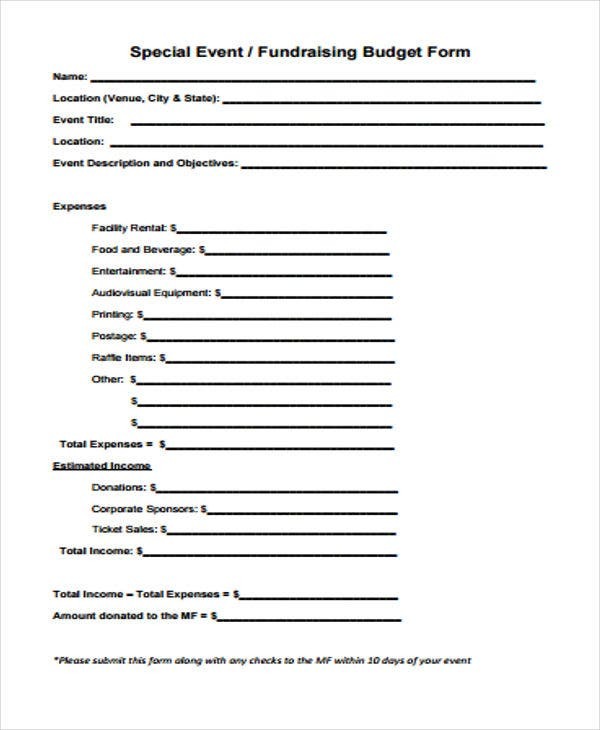 For other events, you can make use of event budget templates and financial budget plan templates to plan and help organize your expenses. The Objective – This is the ideal starting point when making your budget plan for your fundraising. Determine what is the overall objective. What is the overall fundraising goal? This should be realistic and timely. It should always base on the organization’s needs. The Aim – This should answer the question, “why do you need a budget?” Determine your plan in operating the fundraising budget and describe why that amount. The Strategy – After you have determined how much expenses you need in raising and why you need it, next is figuring out how you’re going to start up the full amount. What are the strategies you need to execute in order to achieve your goal? Timetable – Creating a fundraising budget needs a proper timeline. This will help in the fundraising development. 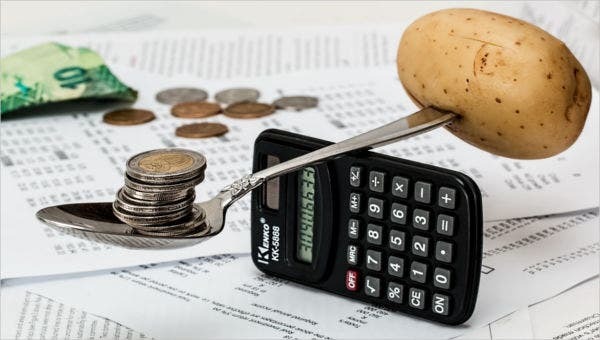 To make sure you don’t go over your budget, an expenditure budget template can be helpful to help you keep track of the expenses that you made.